In today’s society, consumers have the power to shape the world in which they live. Based on this logic, Divine saw the opportunity to harness purchase power to change the lives of farmers in the developing world, and to challenge the status quo of the market in which it operates. Based on the principles of Fairtrade, Divine Chocolate was formed back in 1998, in partnership with a cocoa farmer co-operative in Ghana which now has 80,000 members. The farmers benefit from a Fairtrade premium on the sale of their beans, a 45% share of Divine’s distributed profits and an additional 2% of annual turnover, giving them more economic stability, as well as an increased influence in the cocoa industry. Almost 15 years on, we’ve managed to develop a global brand without diluting what we originally set out to do – to put people at the heart of our business. In fact, our success has meant we have been able to do even more to change the lives of people and their communities and bring about change for the entire industry. In plotting the pivotal moments that have made, what is for some, an unorthodox business model so successful, there are several factors which social enterprise start-ups should consider. Firstly, I can’t stress enough how important preparation, research and planning are to the success of all social enterprise start-ups – particularly when it comes to financing your venture. Choosing the right investors for your organisation is imperative and shouldn’t be rushed. When making this crucial decision, ensure you do your research and that potential investors are not only financially viable options, but that they share your central vision and mission statement. Choosing the wrong investors, particularly as a social enterprise, can have huge implications further down the line when your business has grown. In fact, the same analysis should be applied when choosing overseas partners to champion your products in foreign markets. Essentially, what you are looking for is to surround your business with supporting organisations which can get under the skin of your brand quickly and amplify their enthusiasm for your product among fresh audiences. 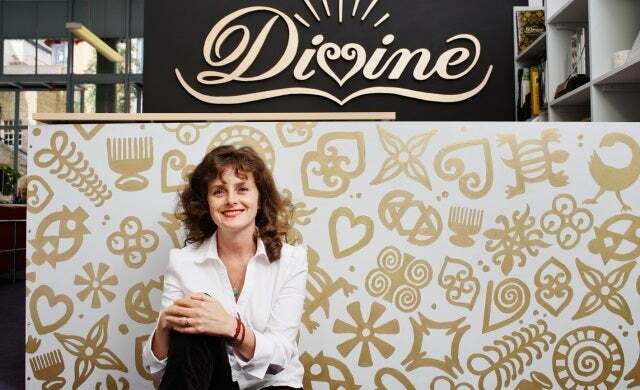 When choosing investors for Divine back in the early days we looked at several options and were successful in attracting the support of organisations such as the Body Shop, as well as Christian Aid and Comic Relief charities – all of which had done so much to change the lives of people in the developing world. Not only did we gain the funding we needed, we also were able to tap into their expertise and knowledge of the developing world. Additionally, you shouldn’t rule out other sources of investment and support which can be leveraged from other sectors. For instance, we also secured a £400,000 loan guarantee from the Department for International Development, which enabled our fledgling company to secure funding and the means by which the farmers could earn their share in the business. If, like Divine, your business has very early aspirations for expansion into global markets, you’ll again have to set aside time for extensive research to get the best returns. For instance, we set about ensuring that our product was to the taste of those consumers in the overseas markets we were looking to enter. As a result, we found that our early recipe was very much to the taste of consumers based in Northern Europe and the USA. By doing our homework, we knew we had to develop a product that would work in places like China and Russia where tastes in chocolate are very different. Also useful in building up the taste profile of the different global regions, was our involvement with a number of UK Trade & Investment’s food trade fairs, which helped us meet foreign audiences face-to-face. These were incredibly valuable for us and have helped us to enhance the skills and reach of our business and products. As a start-up social enterprise you’ll also have to consider your business’s exchange rate exposure when hitting overseas markets with your product. As soon as you venture outside of the domestic market you’ll be potentially exposed to fluctuations in currency exchange which will ultimately change the price of your raw materials and product’s price point abroad. For a start-up, this could have a devastating effect – particularly when capital and cashflow is tight. In fact, the monitoring of key prices should form part of a weekly routine for social enterprise entrepreneurs no matter what market you’re competing in. Here at Divine I’m regularly looking at the current cocoa prices, exchange rates and sales figures for chocolate goods. Divine has achieved huge success in a relatively short space of time through thorough planning and preparation – particularly when it comes to leveraging the right finance and business support in the early stages. Having invested the time early in our development, we’ve been able to make good on our original goals and inform a vast new audience about our product, but more importantly our Fairtrade ethos. I believe, that by following the path that we’ve taken many more social enterprise start-ups can create their own success story.